Life is full of trade-offs. So, apparently, is business. This morning, as part of Arv Malhotra‘s “Managing Innovation Processes” class, we had accomplished tech journalist Kevin Maney speak as a guest lecturer. Maney is author of the recently released Trade-Off, and presented the book’s namesake framework to us. Essentially, Maney has identified two conflicting forces in business: fidelity, which he defines as the total experience of something; and convenience, or how easy it is to get or do something. All products in today’s economy, he argues, can only be high in fidelity or convenience — not both. Take music. A U2 concert offers consumers high fidelity — the music, lights, 360 degree stage, the bragging rights to friends — but generally low convenience, like traffic, parking, ticket price, even Bono espousing Africa. On the other side of the spectrum sit MP3s, iTunes and iPods. These are low cost and extremely convenient. But they offer mediocre fidelity: the sound quality isn’t great and there are no liner notes or cases to display proudly on your bookshelf. Now, consider the compact disc. It sits smack in the middle of this spectrum. While it offers higher sound quality than MP3s, it is less convenient and provides significantly lower fidelity to consumers. Maney argues that these types of products — those trying to offer high fidelity and high convenience, end up doing neither. They fall into the “Fidelity Belly.” And there they die. He can probably explain the concept better. The “Trade-Off” was an interesting idea to discuss in class. Much of what we learn at Kenan-Flagler is about competitive cost advantage (essentially, Maney’s convenience) and product differentiation (his fidelity). Why can’t companies do both though? It was suggested that there are limitations on both companies and consumers. For example, as Starbucks tried to take its high fidelity coffeehouse experience to the masses, it stumbled not only because of operational growing pains (company-induced) but also marketing/brand challenges (consumers began questioning exclusivity). There are big lessons to be learned here. Today’s companies can use the Trade-Off lens in two ways: to identify innovation and new product development opportunities and also to remain focused and disciplined at playing their own game. Those that fail to do so run the risk of becoming obsolete. There’s a lot of promise for what social media might offer companies in the future. Right now, however, there tends to be a lot of hesitation and confusion. 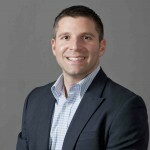 Increasingly, companies are realizing the importance of maintaining a blog, Facebook and Twitter presence. But it is the rare company that has sought to truly engage customers online in a meaningful and creative manner. 114 million pages on the Internet? Make that 114,000,001. As a Second Year student planning on starting a business, I’ve started to shift my academic focus at Kenan-Flagler toward those classes that will directly provide me with the tools necessary to successfully do so. One such class I’m taking now is an Entrepreneurship course offering, Innovation & Product Development, taught by Prof. Barry Bayus. Throughout the quarter, Barry has walked us through the new product development process, providing best practices on conducting market research, identifying voice of the consumer, translating needs into specifications, brainstorming ideas and designing new products. Concurrently, we have been working in small teams on an innovation project for mobile phone giant Nokia. The project has allowed students to directly apply all that we are learning in the classroom to a real business case. My team has developed a product called the Family Tree. It’s a mobile phone docking unit, targeted at seniors, that integrates and simplifies communication and printing capabilities. Here’s the pitch that we developed and just sent to Finland for review by company executives. With luck, look for the Family Tree on store shelves by next spring! UPDATE: Here are the other team entries to see how we stacked up. As bad as the economy continues to be, I’ve found this a remarkably good time to be back at business school. And it’s not just about insulating myself from the dismal job market and taking the opportunity to develop skills and networks (although I’d be lying if it wasn’t partly this). When the true crisis began last year, Kenan-Flagler was immediately tuned in. There were brown bag lunches with finance professors; our Macroeconomics core course was largely consumed with daily discussions on the latest economic gyrations; even Leading & Managing, an organizational behavior class, got in on the action with assignments that drew on NPR‘s insightful report, The Giant Pool of Money. Forget about a Harvard case study. The case study was all around us. And it continues to change and develop today. This has made my experience here all the more engaging and relevant — although it hasn’t given me much confidence in where we’re headed. Because when a leading finance expert who has spent most of his adult life studying the markets can only offer a shrug when asked what is driving the Economic Roller Coaster that we’re all on right now, this can’t bode well for the rest of us peons. But how did we get here? A great explanation has just been created by Jonathan Jarvis. He’s not an economist nor a business journalist. Jarvis is a graduate student in the Media Design Program, a graduate studio at the Art Center College of Design in Pasadena, California. And he takes the cake for explaining the credit crisis in the simplest terms I’ve heard or seen. This is cross-posted at the Kenan-Flagler blog, where I’m also now contributing. I’ve often heard business school described as “living inside of a bubble.” It’s said that the first-year experience is so demanding and all-encompassing that life revolves around the same activities, people and places. Students go to class, meet with study groups, grab lunch in the cafeteria, hit the gym, have dinner or drinks with friends, head home, do work and hit the sack. In some ways, my first three months in Chapel Hill have followed a similar rhythm. There is so much to juggle, so many opportunities to get involved, so many interesting and smart students to work with, that you almost forget that there is life beyond McColl’s walls. Not to say that this is necessarily bad. In fact, the strength of the community at Kenan-Flagler, fostered in part by this bubble, is one of the reasons that I’m here. But it’s also important to occasionally take a step back and experience life outside. An opportunity to do so came at the beginning of this mod, the Sunday before classes began. 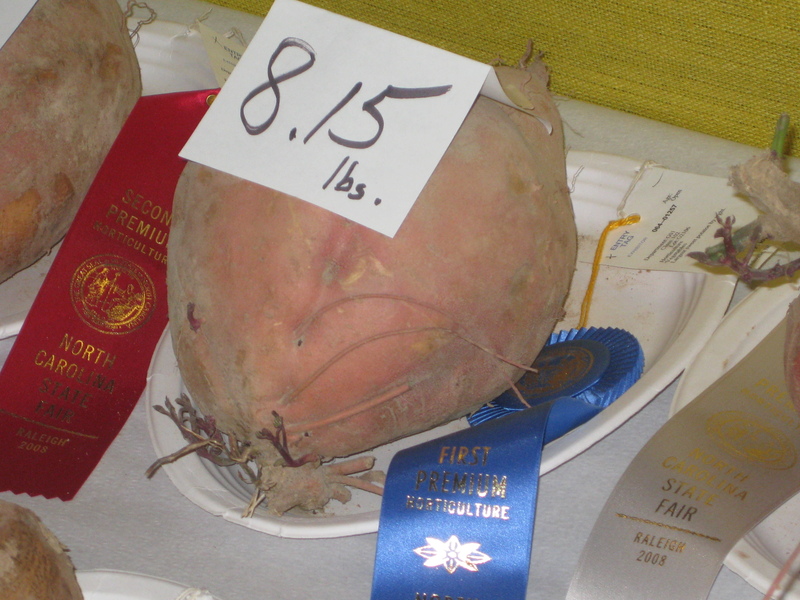 I’d read about the North Carolina State Fair — one of the largest fairs and agricultural expositions in the Southeast — and had to go check it out. We drove the 20 minutes to Raleigh, parked for $5, bought our tickets and headed inside to the overwhelming sights, sounds and smells. 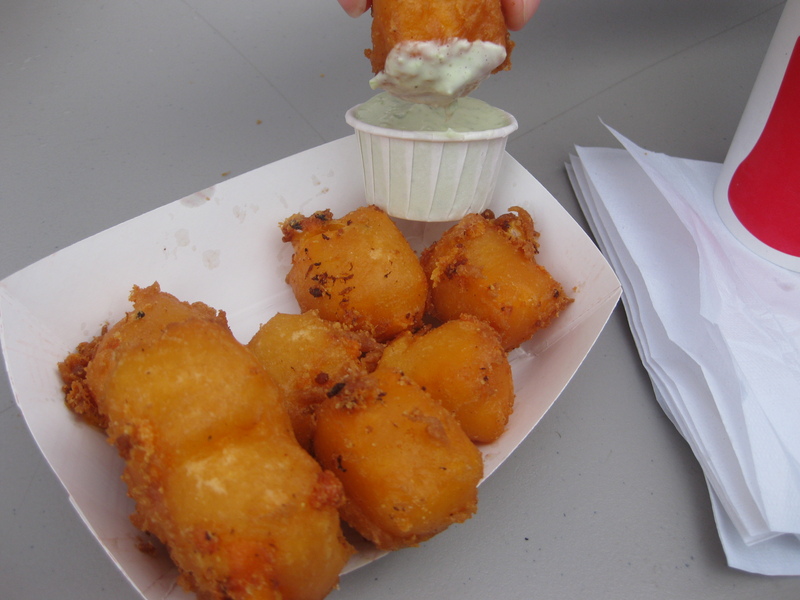 With growling stomachs, we first hit the Wisconsin Cheese Shack and ordered up some fried cheese sticks with a spicy ranch dipping sauce. The verdict: Delicious. 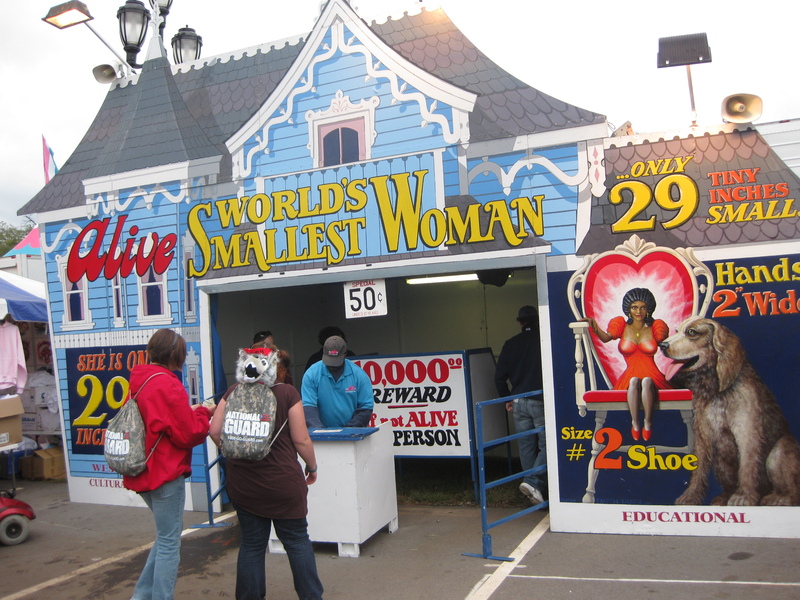 Next, we wandered through the Midway, filled with carnival games and rides before shelling out a dollar to see the World’s Smallest Woman (who indeed was small — the world’s smallest, not so sure). We ended up spending around three hours at the fair, taking it all in. The drive back to Chapel Hill was refreshing. We had experienced the fantastic people, place and culture that make North Carolina such a unique and cool place to live. And we realized that yes, indeed, there is life outside of the bubble.